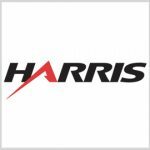 Harris Corp. (NYSE: HRS) — one of 30 companies listed on Executive Mosaic’s GovCon Index — has reported earnings of $1.31 per share for the first quarter of its 2016 fiscal year to fall in line with the consensus Wall Street forecast and exceed the prior year figure by 13 cents. Revenue at the Melbourne, Fla.-based communications technology contractor came in at $1.81 billion, a figure 56 percent higher than the same quarter last year on Harris’ $4.75-billion acquisition of Exelis that closed in May. Wall Street analysts expected Harris to report $1.85 billion in first quarter revenue. The company held to its fiscal 2016 outlook of between $5.60 and $5.80 per share, excluding acquisition costs, and revenue in a range of $7.67 billion-to-$7.83 billion. Harris reported a $163 million profit for the first quarter and $2.24 billion in orders. The company secured a position alongside Thales on the Army’s potential 10-year, $3.8 billion Rifleman radio contract in April and also won a $390 million contract to build radios for Special Operations Command in September. Harris views the SOCOM radio award as part of a larger potential $900 million opportunity, according to the company’s first quarter investor slides. Prior to Tuesday’s stock market open, shares of Harris were up 10.18 percent from the year’s start and climbed 15.56 percent over the last 12 months.